BI 323.2: A study of James through Jude, with emphasis being given to the doctrine and interpretation of the texts of the books and showing the importance of implementing truth into the daily walk of the believer. BI 324.2: A study of James through Jude, with emphasis being given to the doctrine and interpretation of the texts of the books and showing the importance of implementing truth into the daily walk of the believer. BI 325.2: A systematic and in-depth study of this beautiful and doctrinal book of the New Testament. 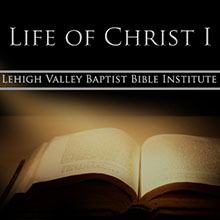 BI 221.2: A comprehensive and harmonistic study of the earthly life and ministry of the Lord Jesus Christ as revealed in the four gospels. BI 222.2: A comprehensive and harmonistic study of the earthly life and ministry of the Lord Jesus Christ as revealed in the four gospels. BI 311.2: An analytical study of the historical backgrounds and major prophetic messages of Isaiah, Jeremiah, Lamentations, Ezekiel, and Daniel. These classes are best suited for consecutive consideration and study. BI 312.2: An analytical study of the historical backgrounds and major prophetic messages of Isaiah, Jeremiah, Lamentations, Ezekiel, and Daniel. These classes are best suited for consecutive consideration and study. BI 413.2: A thorough study of the small but potent prophecies prior, during, and after the fall of Israel and Judah. BI 414.2: A thorough study of the small but potent prophecies prior, during, and after the fall of Israel and Judah. BI 121.2: A survey of the books of the New Testament with special emphasis given to the authorship, doctrinal, and historical framework of each book.